Should the Tema Oil Refinery (TOR) be converted into a Tank Farm? The Tema Oil Refinery (TOR) should not be converted into a Tank Farm. I struggle to see the rationalisation for this from a strategic, engineering or financial perspective including a value-for-money approach. For sure, build a second refinery in Takoradi or undertake a brownfield expansion of TOR to meet rising domestic and regional demand, but under no circumstance should the plant and equipment including the Residue Fluid Catalytic Cracking (RFCC) unit at TOR, which is the ‘cash cow’ of the refinery, be allowed to lie idle or decommissioned. TOR, despite issues of mismanagement and political interference by Ghana’s elites, remains one of the success stories in Ghana’s industrialisation drive since its commissioning by Dr Kwame Nkrumah in 1960. Extract: The Energy Minister, Boakye Agyarko has slammed the Chief Executive Officer of Tema Oil Refinery (TOR), Isaac Osei for challenging plans to convert TOR into a tank farm. “I didn’t come to TOR to preside over its demise. 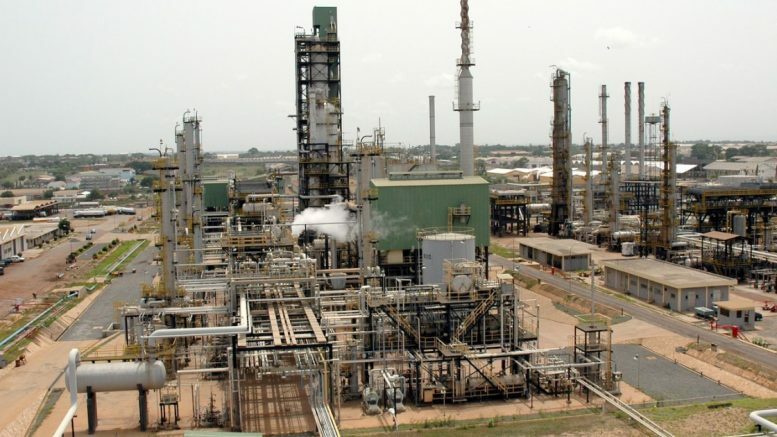 Mr. Osei and his board chairman, in a united voice, have kicked against the decision wondering why the refinery will be scrapped at a time when it has installed a catalytic cracker with the hope to commence full operations. I have not come here to run this company by scrapping it,” Isaac Osei said, adding: “I don’t think converting it into a tank farm is the way forward.” Commenting on CEO of TOR’s opposition to the ‘tank farm’ idea on the sidelines of the Licensing Bids Evaluation and Negotiation Committee, Agyarko said Mr. Osei has no locus to question the move. He said: “If you are a minister, it’s beneath you to engage your subordinate on something both of you disagree on in public or on radio. And if you are under a minister and you disagree with his decision you don’t resort to the radio to vent your displeasure.” The Energy Minister disclosed in January that government in partnership with the private sector will build a new oil refinery at the cost of $4billion. The new refinery is expected to produce about 150,000 barrels of oil per day, eight times the current production of the TOR when completed, leading to the gradual easing out of TOR into a tank farm — a move the management of TOR labelled as unacceptable.